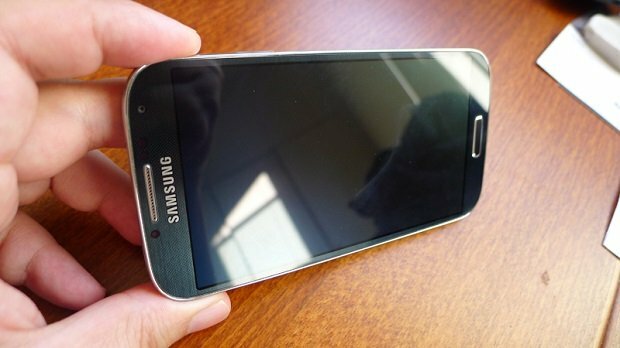 We have been receiving quite a number of requests from our readers asking for help in solving the display problem that their #Samsung Galaxy #S4 is having. This is why our main focus in today’s troubleshooting series is the Galaxy S4 black screen issue although we will also be addressing the other display related problems of this device. If you have recently sought our assistance in resolving the screen related problems that your phone is having then you should check out our troubleshooting steps below as we may have addressed your phone problem. If you own a Samsung Galaxy S4 or any other Android device for that matter then feel free to contact us using this form. We will be more than happy to assist you with any concern that you may have with your device. This is a free service we are offering with no strings attached. We however ask that when you do contact us try to be as detailed as possible so that an accurate assessment can be made and the correct solution can be given. Solution: Since the phone was dropped the chances of this being a hardware problem is very high. You should however check if this could be a software related issue. Try starting your phone in recovery mode and see if your phone responds. If your phone can access the recovery mode then you can proceed with wiping the cache partition of your phone then see if the phone starts normally. If your phone can’t access the recovery mode then proceed with connecting your phone using a USB cord to a computer running Kies. Press the power button of your phone then check if your phone can be detected. If it can be detected then backup your phone data then restore your phone software. If Kies can’t detect your phone then the problem may already be hardware related. I suggest you bring your phone to an authorized service center and have it checked. Problem: My screen is unresponsive. I can hear everything, see the beeping LED light in the corner but I can’t see anything on my screen. I can hear notifications and emails and everything else my screen is just forever blank. I’ve been told by some people that my backlight is broken, another told me it’s because of my screen’s physical damage that my sensor is screwed but I believe I can fix it a certain way if I get the right help. Thank You. GoodBye. Solution: There’s a chance that the phone display may be broken. Have you dropped your phone recently? I suggest you connect your phone using a USB cord to a computer running Kies then backup your phone data. Try to restore your phone software using Kies. If after the restore you still can’t see anything on the phone display then you need to have this checked at an authorized service center. If the cable connecting the display to the main board of your phone is loose then this needs to be reconnected. The worst case scenario is that the display may already be broken in which case you need to replace it. Problem: I recently bought a phone off someone and it was working perfectly. My phone was at about 10% and there was a slight drop which caused the battery to fall out of the back. I put the battery back in but the phone would not turn on. When I charged the phone it shows the red light for charging but the screen is still black. I have tried all the power button/home button/ volume button things suggested but when I do that, the phone vibrates and the screen comes on for a second and then it goes back to being black. I don’t know if this was present before, but there is a slight crack on the bottom left hand side on the inside of the screen. I am charging the phone now at the moment. Please help. Solution: The drop may have damaged your phone display. Since you mentioned that this happened after a slight drop then chances are the phone may have previously been dropped and the latest dropped just worsened its condition. I suggest you try to check if there’s a chance that this may be a software related problem by accessing the recovery mode. See if you can wipe the cache partition of your phone. If you can’t access the recovery mode then connect your phone using a USB cord to a computer running Kies. Backup your phone data then attempt to do a software recovery. If Kies fails to resolve the problem then I suggest you bring your phone to an authorized service center as this may already be a hardware related problem. Problem: On my andriod Galaxy s4 I am getting a ton of green lines across my screen! I have tried taking the battery out and I have tried shutting it down but I can’t figure out what is going on. I found you guys and I am wondering if you can help! Solution: Try checking if this issue is caused by an ap you installed in your phone by starting your device in Safe Mode. In this mode only the pre-installed apps are allowed to run while apps you downloaded are disabled. If the green lines don’t appear in this mode then it’s most likely caused by an app. Find out what app this is ad uninstall it. If the green lines still appear even in Safe Mode then I suggest you proceed with wiping the cache partition of your phone from the recovery mode. If that doesn’t work then backup your phone data then do a factory reset. If at this point the issue remains unresolved then your phone may have a damaged display. Have your phone checked at an authorized service center. Problem: Last Friday night, I installed the game 100 pics then went to sleep and woke up to find flickering lines on my phone, but I didn’t think it was that big of deal. Then, of Monday afternoon the screen would get really fuzzy then go back and its been that way since. I tried to troubleshoot to get my phone to factory reset but it doesn’t seem to be working. Solution: If after the factory reset the phone still has some flickering lines then this may already be a hardware related problem. There may be some loose connection inside your phone or the display itself may already be defective. I suggest you bring your phone to an authorized service center and have it checked. Problem: my phone fell and it turns on i hear the text messages and volume sound but screen doesnt turn on. Solution: It’s very likely that the fall damaged just the phone display as the device can still get notifications. I suggest you bring your phone to an authorized service center and have it checked. There’s a chance that you will have to get a new display for your device. Solution: This issue may be caused by some software glitch. Take out the phone battery then press and hold the power button for at least a minute. This discharges your phone circuit and clears out its RAM. Reinsert the battery then try to turn on your phone. If the phone does not turn on then plug it to its wall charger for at least 20 minutes then attempt to turn on your phone again. If the issue persists then wipe the cache partition of your phone. One last troubleshooting steps you should consider is a factory reset. Make sure to only do this if you have a backup of your phone data.